Romeo and Juliets malayalam movie directed by Puri Jagannadh featuring Allu Arjun, Amala Paul and Catherine Tresa in lead. 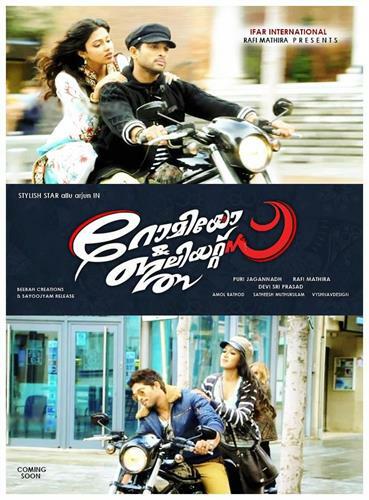 Romeo and Juliets is the malayalam version of telugu movie Iddarammayilatho which means 'With Two Girls'. For Ifar International this movie is presented by Rafi Mathira. Romeo and Juliets is expected to release on the same day with its Telugu version. 'Romeo and Juliets' would be much special to watch with a number of reasons. Popular cinematographer Amol Rathod who is known for his active presence in Bollywood has lent his hands to zoom the exotic locations. Bollywood choreographer Ganesh Acharya who had worked with Bodyguard, Singham and Omkara has applied some unique dance steps bringing the best visual treat for dance enthusiasts.